Today I fell in love with the BAC 221. 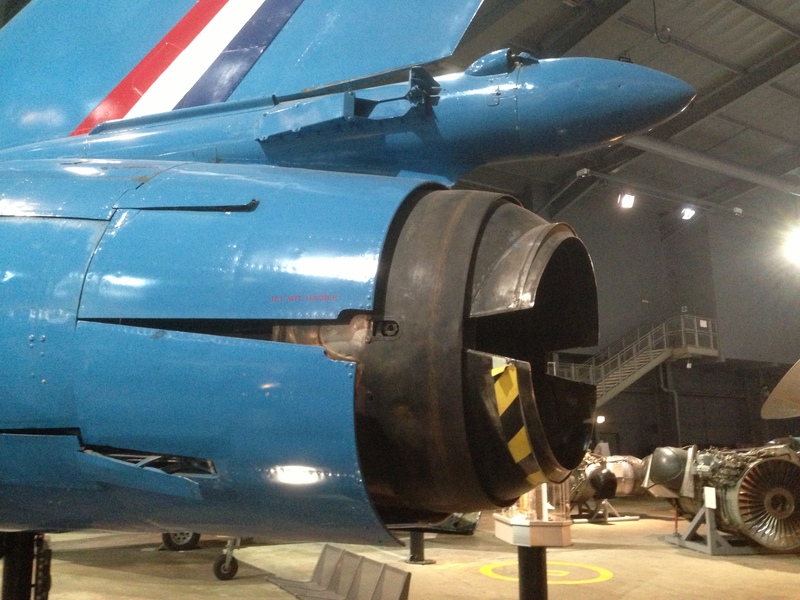 Created to explore the ‘ogee’ wing shape for Concorde, the 221 was converted from the Fairey Delta 2. Nestled beneath the Fleet Air Arm Museum’s Concorde, in a dashing ‘Bugatti’ blue, it is an extraordinarily attractive aeroplane (I know adverbs are the devil’s work, but I’m tired). There are so many handsome parts to the 221 that it’s hard to know where to begin. As well as the overall harmony of the shape, it is a delightful memory prompt, causing the lucky onlooker to recollect a bevy of other designs that appeared both before and after the 221. The 221’s elegant kidney-shaped air intakes are a delight to the eye. They were less of a delight to the engineering team and small ‘lips’ had to be added to control disruptive air flows. The lips give the intakes a strangely familiar look- is it the JF-17 they remind me of (the rapid taper of the intake ducts are also a little reminiscent of the AIDC F-CK-1 Ching-kuo)? The intakes also call to mind the legacy Hornet. Speaking of the Hornet, the very long LERX on the 221 that go all the way to the nose are gorgeous. 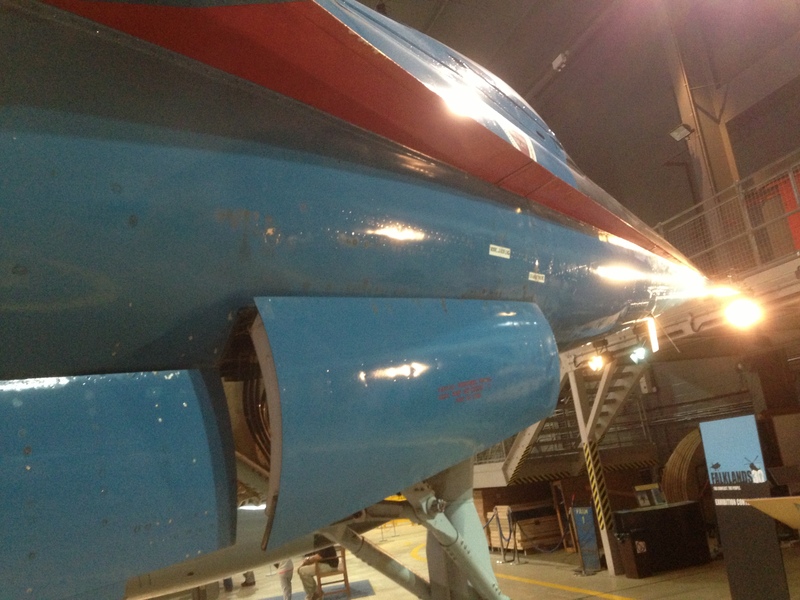 To ensure an even flow to the compressor face the air duct snakes up through the wing giving a little hump like a late-F-16 CFT. The rear fuselage of the aircraft is rather French, or maybe it’s fairer to say it looks like a Avro-Canada designed Mirage, either way it’s superb. From some angles it even calls to mind the (very batty) Convair F2Y Sea Dart. The wing is the aircraft’s defining feature and just as on Concorde, the shape is sublime. A graceful compound curve that speaks of a natural high-speed, not the macho, penetrating shape of a 50s Convair or the paper-dart form of a Mirage; it does not look like it was made in a factory, in fact if anything, it looks like it evolved. With its concealed compressor face and steeply-raked back wing, I couldn’t help but wonder what kind of a radar cross section this aircraft would have had. Maybe it could have formed the basis of a stealth technology demonstrator in the 70s, or maybe I’m just dreaming because I’m in love. “The rear fuselage of the aircraft is rather French, or maybe it’s fairer to say it looks like a Avro-Canada designed Mirage, either way it’s superb.” Well, yes. 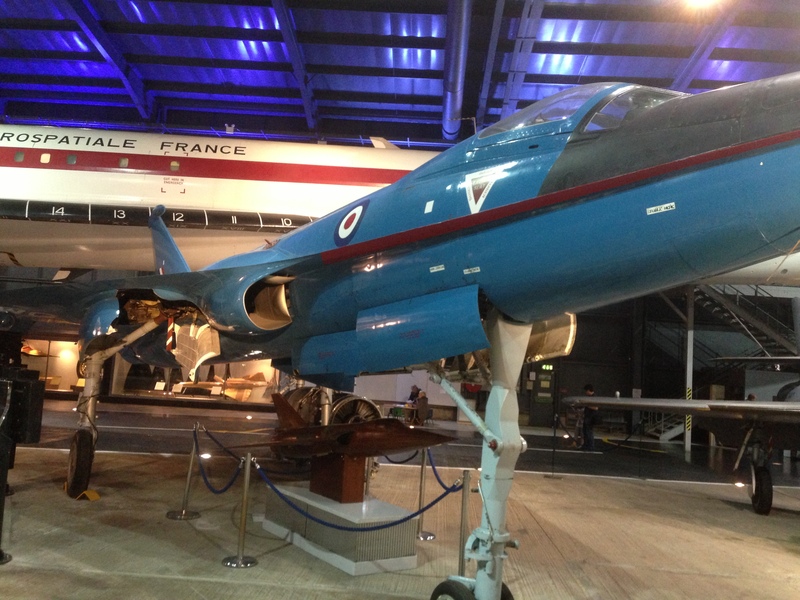 The first Fairey Delta II, from which the BAC 221 was converted, was sent to France for low level supersonic tests, after the Ministry of Supply refused to allow this testing over the UK. A little while later, the Mirage appeared. There’s always been speculation about whether the Dassault engineers were, um, inspired by the FD2 when they designed the Mirage. Thanks Robert, I’m aware of that story, but it is only apocryphal. A Look at the Mystere Delta timeline reveals this. The vertical surfaces are small! No additional surfaces anywhere. Very clean.